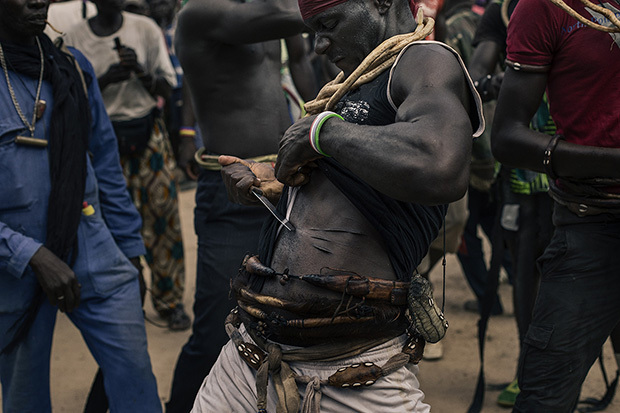 In the summer of 2016, the Italian photojournalist Diana Bagnoli traveled to the village of Mlomb in Casamance, Senegal to tell the story of the Boukout, a monthlong initiation for young men in the Jola community. 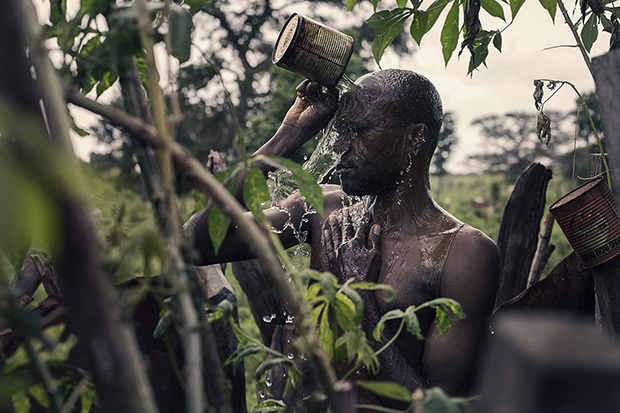 The ceremony takes place in the holy forest, where the men live cut-off from their families and homes. Bagnoli was allowed to photograph some of the surrounding activities, but she still doesn’t know the details what happened to the men during Boukout. The men who participate are not permitted to share their memories with anyone, not even the women and initiated males in their own families. 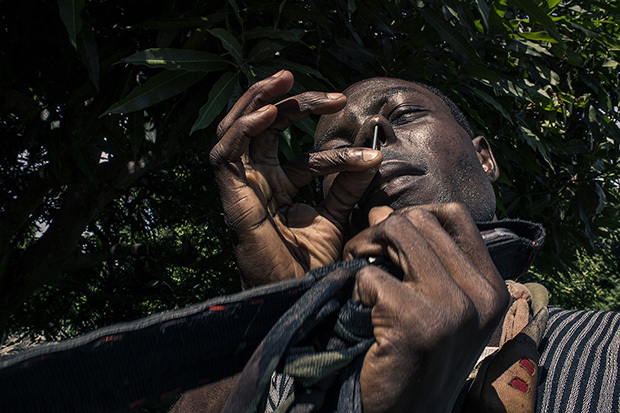 The forest is, as Bagnoli puts it, “literally forbidden.” When she made an attempt to photograph a tree lining the main road on the periphery of the actual forest, locals informed her that taking pictures of the forest was off limits. 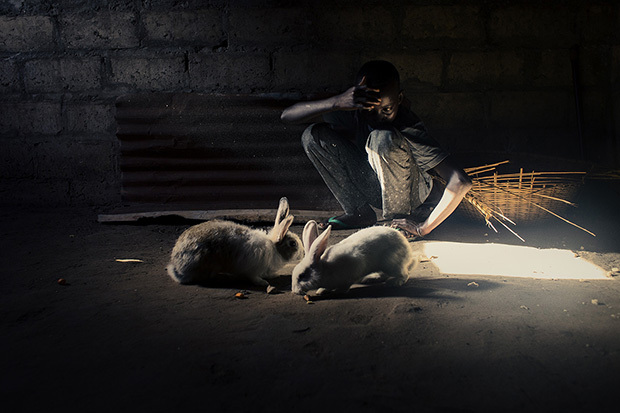 The photographer was granted access to the Mlomb village with help from Onlus CPAS, an organization working with people in Senegal on sustainable agricultural projects. She stayed nearby with the cousin of a friend, and when she wasn’t taking photographs, she helped the women in their daily tasks and helped the children practice their French. On more than one morning, she awoke to an egg on her shoe, left there by the family’s hen. 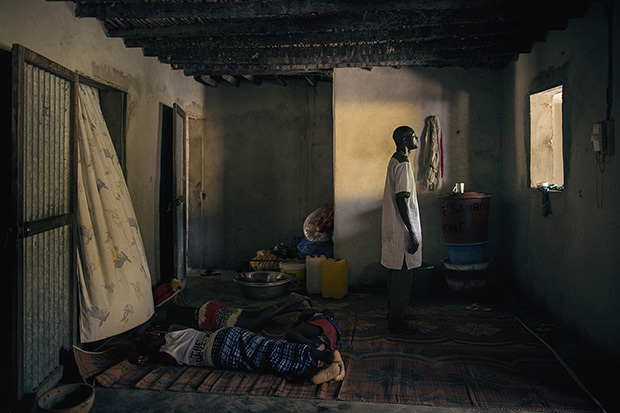 Bagnoli remembers experiencing what she calls the famous Senegalese hospitality, but that’s not to say she was given complete freedom to photograph and access everything. 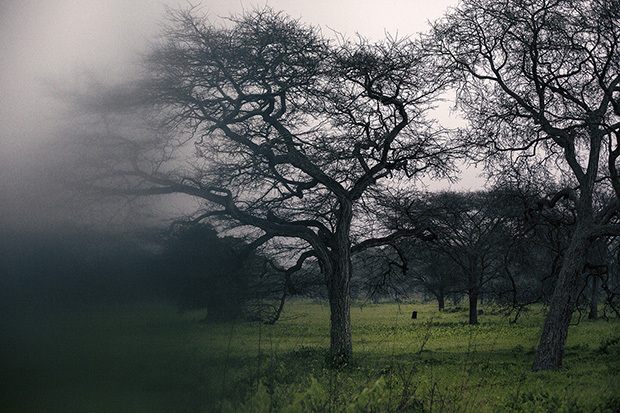 The Marabouts in particular, she admits, were wary of speaking to strangers. Boukout began with days of celebration, and families reunited from around the world. 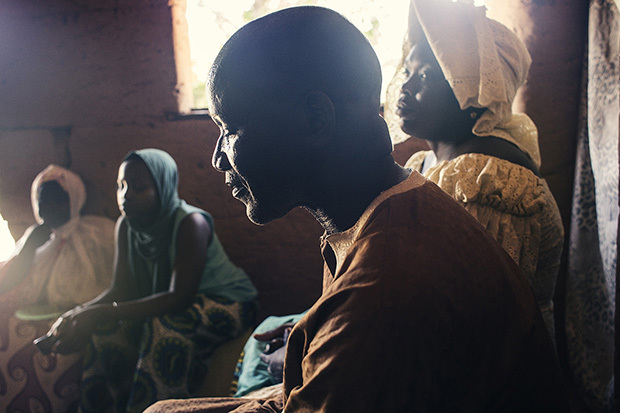 Though the rite of passage occurs more frequently throughout Casamance, individual villages only organize it once every three to four decades. 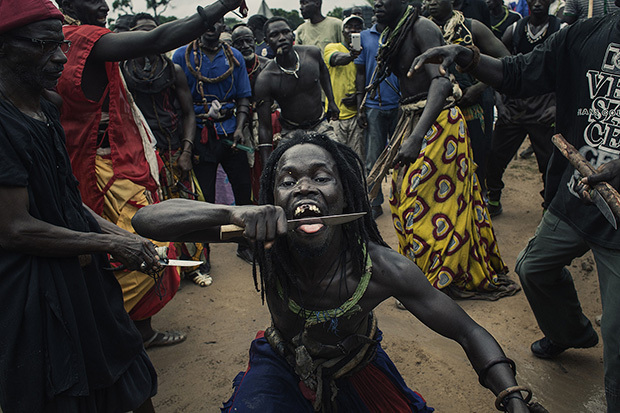 The festivities included food, song, dance, and in Bagnoli’s words, “much excitement and joy.” Under the spiritual protection of gris-gris, special amulets that ward off evil, people showed their strength by slicing their flesh with knives. The combination of holy water and a particular root is said to fortify the skin. After the celebration, the young initiates had their head shaved, and from that point onwards, they could not have any contact with the women and uninitiated men in their families. The songs stopped. It rained for a long time. Bangoli reports that only young girls were able to approach the forest to deliver food. One month passed before Bagnoli saw the men emerge from the holy forest. The families, like the photographer, had no way of knowing if their loved ones would make it out alive. In fact, four men died and were buried in the forest. 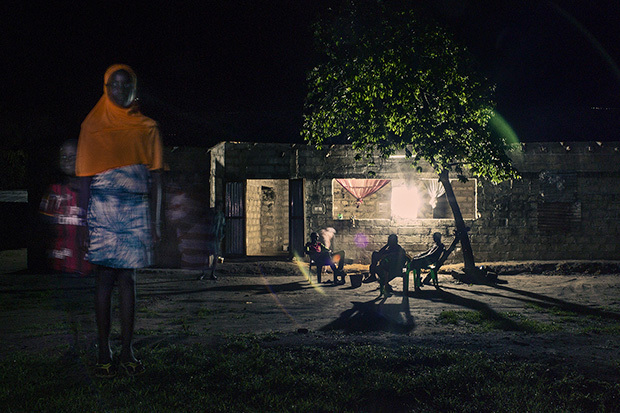 The photojournalist was able to meet the family of one, who had been killed by lightning. “Their eyes were full of grief,” she tells me. Those who survived Boukout had passed from boyhood into manhood. They arrived in a tent to receive gifts and food as tokens of devotion, and in return, they gave blessings. The most moving part for Bagnoli was witnessing the intense dedication of the people who participated. 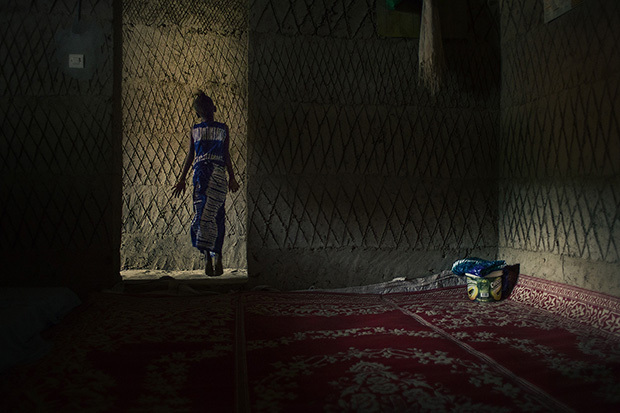 For one month, even those who lived abroad made the journey back to their village, their roots, and Boukout. Even without witnessing those secret-shrouded days inside the holy forest, she was able to document what it meant for those involved. Diana Bagnoli was selected as a winner of the Third Annual Feature Shoot Emerging Photography Awards.